For 78 years, MAGNOLIA has nurtured generations with its delicious, wholesome dairy goodness. While times have changed, MAGNOLIA remains steadfast in its offering of quality and the excellence it is trusted for. The same goodness and great taste of MAGNOLIA now comes in a refreshed, new packaging design to echo its commitment as the frontrunner in product innovation. While MAGNOLIA Fresh Milk retains its iconic yellow hue, MAGNOLIA Lo-Fat Hi-Cal Milk now dons a blue packaging. The new design projects a clean, modern look while helping consumers easily identify the healthful benefits each pack of MAGNOLIA offers. 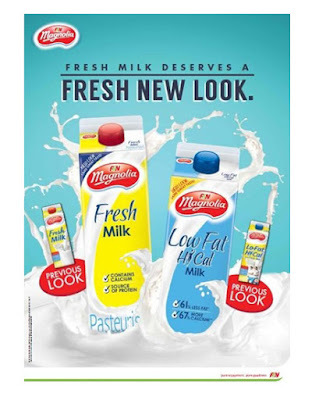 Consumers will also appreciate the refreshed design of the side panel, complete with tips on how to drink milk at its freshest and to get the best out of it. As a leading brand and in keeping with F&N's promise of pure enjoyment, pure goodness, MAGNOLIA continues to pass on the importance of making good nutrition the foundation of a healthy and happy life. The new,modern look of MAGNOLIA range reflects its status as the stalwart in providing nutrition to generations and conveys a vibrant image based on the latest trends in product design. 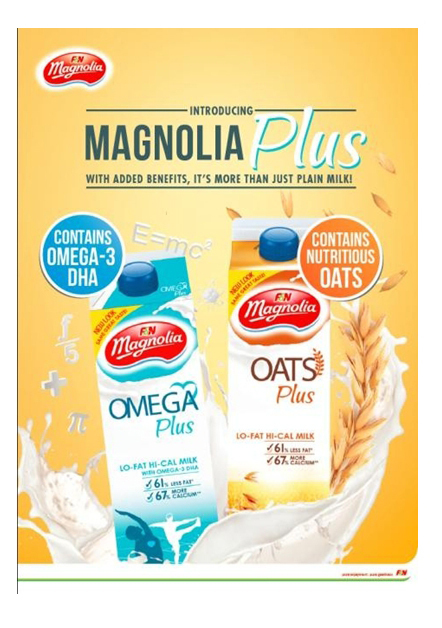 In November, MAGNOLIA will also launch the MAGNOLIA Plus range, comprising the ever-popular MAGNOLIA Omega Plus Lo-Fat Hi-Cal Milk, MAGNOLIA Omega Plus Chocolate Flavoured Lo-Fat Hi-Cal Milk and MAGNOLIA Oats Plus Lo-Fat Hi-Cal Milk, all in brand new look. 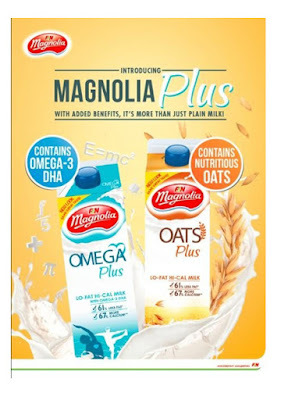 Incorporating DHA Omega-3 in your diet is made easy with MAGNOLIA Omega Plus Lo- Fat Hi-Cal Milk. An essential fatty acid, DHA Omega-3 consumption promotes good cardiovascular vigour and support eyes and brain health in adults and children. MAGNOLIA Omega Plus Chocolate Flavoured Lo-Fat Hi-Cal Milk adds rich cocoa goodness, a delight to both adults and kids alike. For a hale and hearty heart, savour the goodness of oats in milk with MAGNOLIA Oats Plus Lo-Fat Hi-Cal Milk. Nutty and creamy, this variant is perfect to keep you going all day and offers a delicious health-giving beverage for the young and old to enjoy.